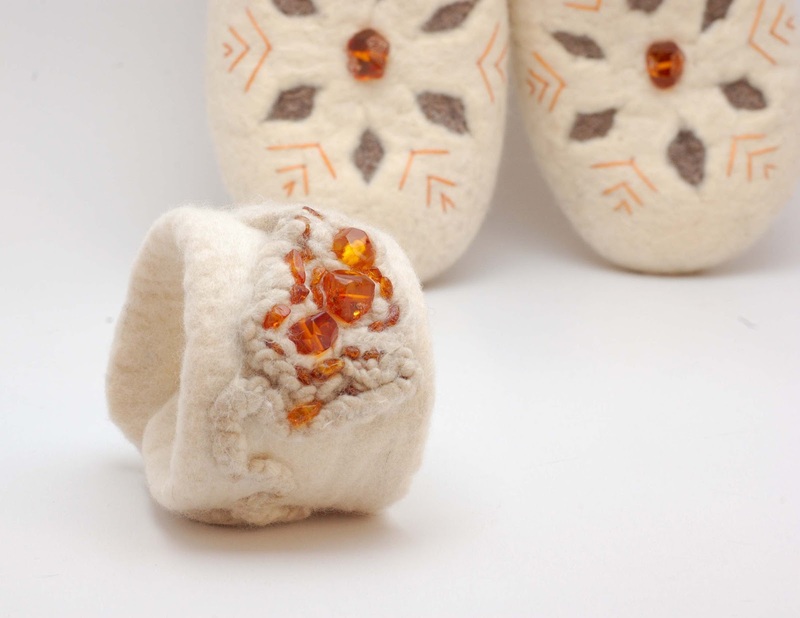 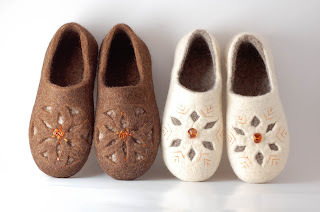 Today it is the first anniversary of my WoolenClogs shop! 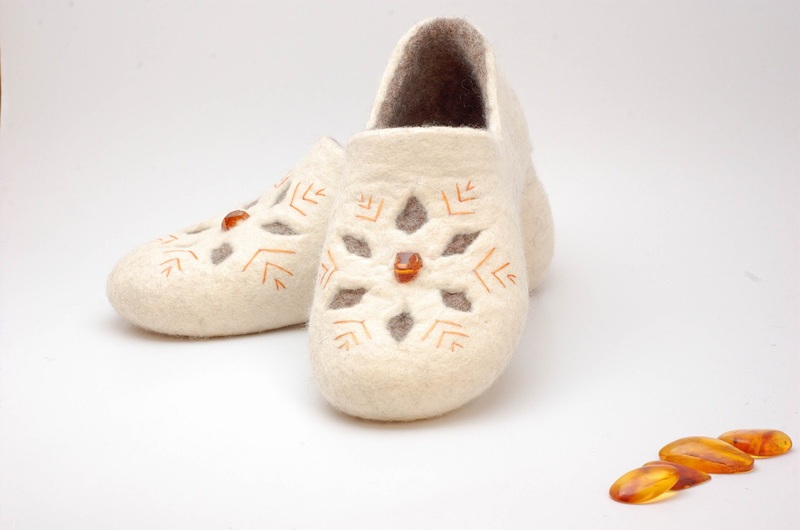 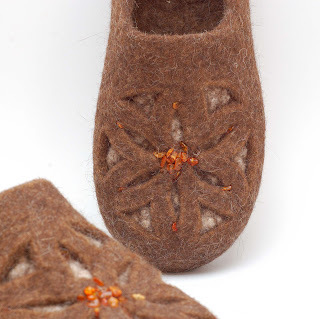 I am glad that my wool felted clogs (mostly made of Lithuanian sheep wool) reached my customers in all over the world:) They were shipped to Europe, US, Canada, Australia, New Zealand, Japan, Brazil etc. 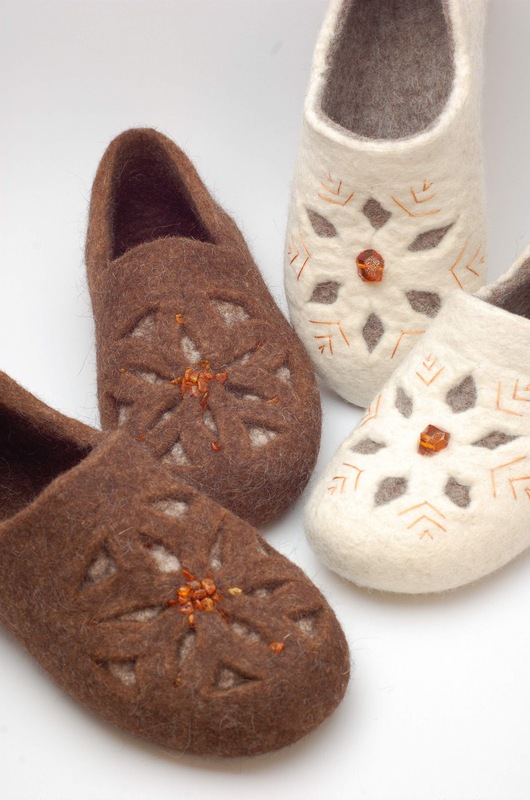 I wish a warm wearing to all my customers! I have just finished the second pair of the clogs with Baltic amber. Amber is often titled the “Lithuanian gold” – it is something uniquely Lithuanian. 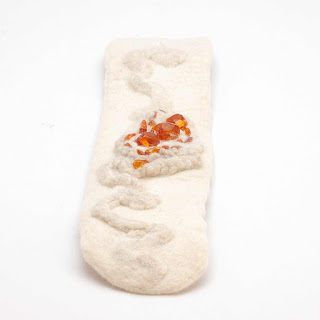 And natural :) I like how it harmonizes with the wool. 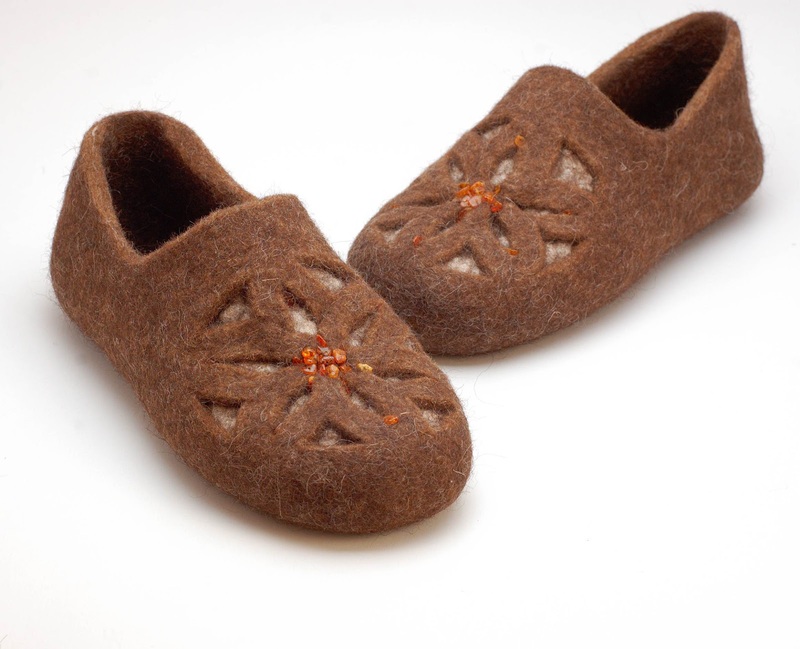 The brown felted clogs imitate carved wooden clogs. "Carvings" are traditional Lithuanian ornaments.